What the Heck is Q10 & Why Should You Care? Meet coenzyme Q10, a wonder among our bodies’ naturally occurring substances. If you’re not yet an expert on this incredible substance, then you’ve likely heard about it as the next big thing for anti-aging. According to the U.S. National Library of Medicine, Q10 was first discovered in 1957 and it’s benefits span much more than cosmetic improvement (although I’ll explain why it’s amazing for that a bit later). While we naturally produce Q10, it’s also synthetically manufactured with sugar cane, fermented beets and specific kinds of yeast. Millions of people use Q10 for treating cancerous illnesses, and blood pressure and heart problems. Because it’s a substance that many of our organs need to work properly, it energizes cells, acting as a powerful antioxidant. But even that is just the tip of the iceberg. It prevents lipids (or fats) and proteins from oxidizing while energizing the oxygen flow of other cells and fellow antioxidants, like vitamin e. This means that it stops free radicals (those nasty little things that can cause cancer) from ever forming in the first place. If you think that’s incredible, you’ll be stunned to learn that the same antioxidant effects that impede the above-mentioned diseases also revitalize your skin. Q10 even helps to smooth out wrinkled skin to make you look younger. How is Q10 Related to Age? As we age, we slow down our natural production of Q10, even though we still require the amounts we did when we were young (don’t freak out, but this can start happening as early as 21). And, because this important coenzyme stimulates your skin cells’ oxygen while blocking free radicals, it’s super important to have enough of it if you want to stay looking as young as you feel. To make up for your lack of this amazing coenzyme, regularly use products that contain this amazing substance, such as the Sebamed Q10 Protection Cream, Firming Body Lotion and Lifting Eye Cream. 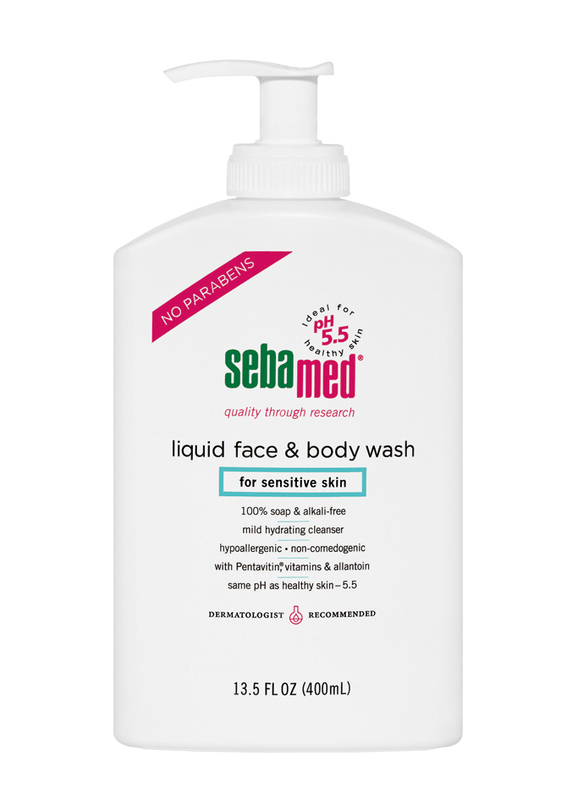 Prior to using Q10 creams or lotions, Sebamed recommends a mild cleanser such as our Liquid Face & Body Wash. For more on caring for aging skin, check out our post on How Your Age Affects Your Skin.